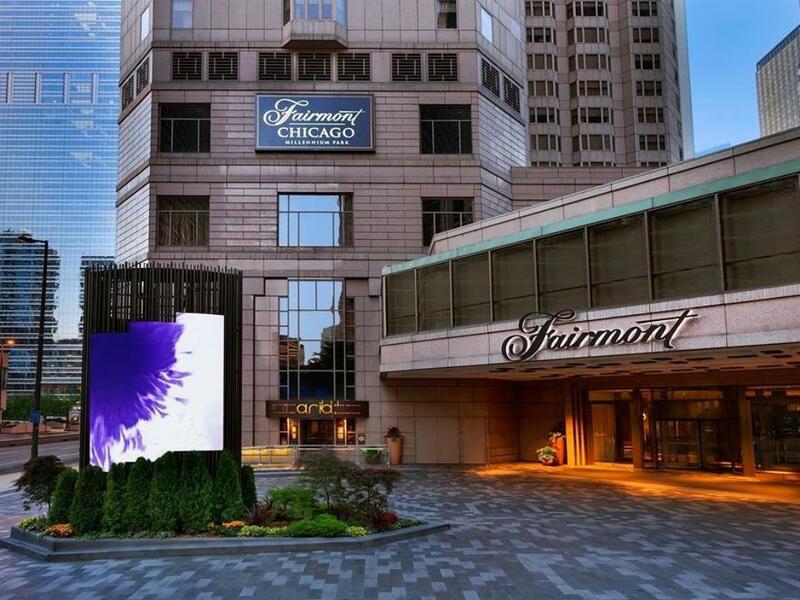 The Fairmont Chicago Millennium Park is a luxury hotel located just north of the park that it’s named for, near the banks of Lake Michigan. 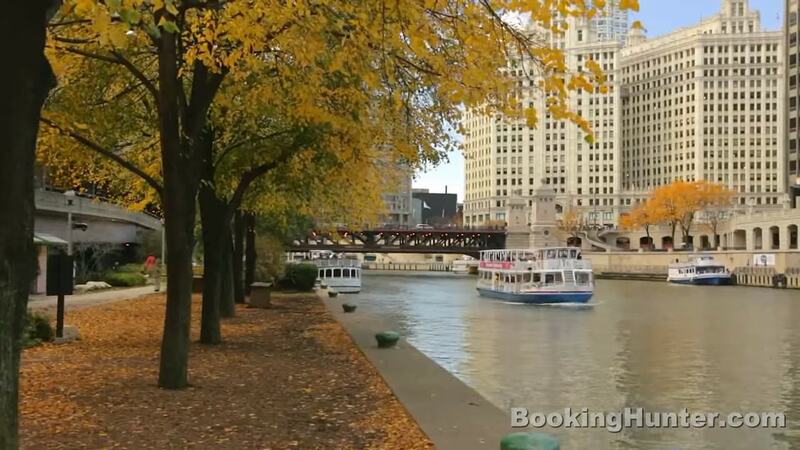 It has more than 600 rooms and suites, which look out over sights like parks, the lake, and the Chicago skyline. Because of the building height restrictions in the nearby parks, many of these views are completely unobstructed. Fairmont offers several special services to their guests. In the morning, a breakfast buffet can be found in the Millennium Room. After dark, the bar in the lobby offers cocktails and other drinks. For more of a traditional restaurant experience, there’s Columbus Tap, which has a seasonal menu and a wide selection of beers. The hotel also boasts a spa and a fitness studio. Outside of the building, Fairmont offers a number of packages that include special offers for a number of local attractions. More than just a place to spend the night, the hotel also has space to accommodate conferences, weddings, and other social events. 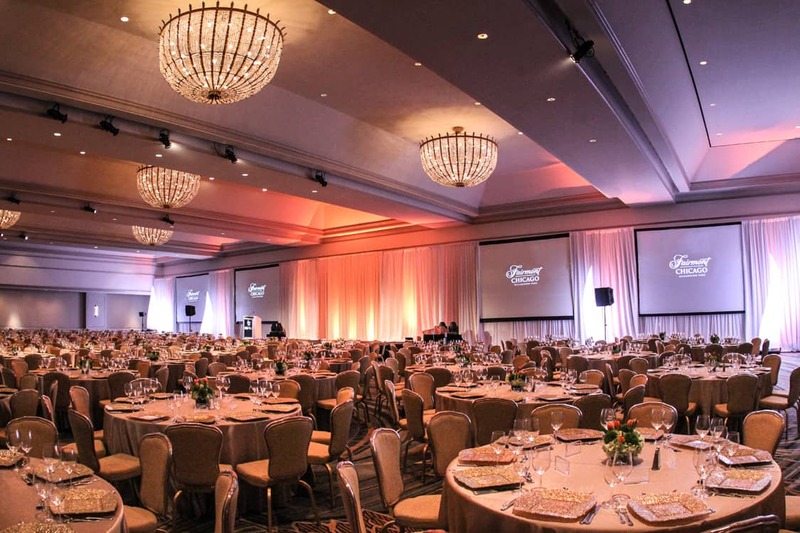 Three ballrooms are available for dancing, hosting a panel, or anything in-between, Fairmont has planners on staff who can arrange group events like bike tours and spa packages. A catering team is available and offers the option of collaborating on a custom menu. 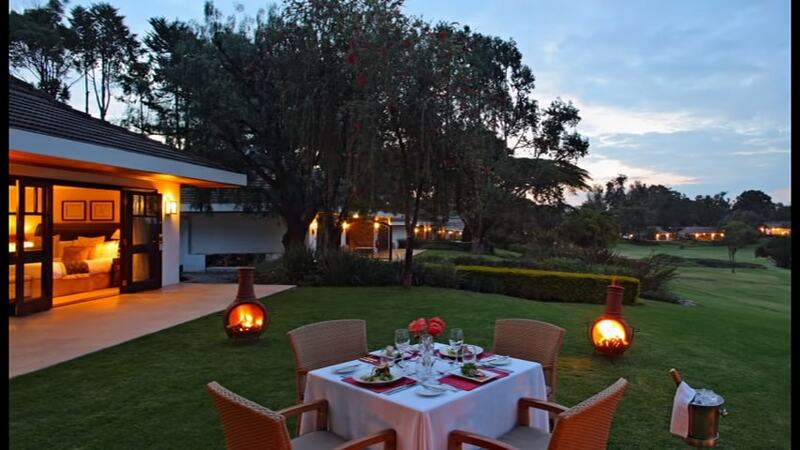 The hotel also works to minimize their carbon footprint and make sure that their events don’t have too much of an impact on the environment. 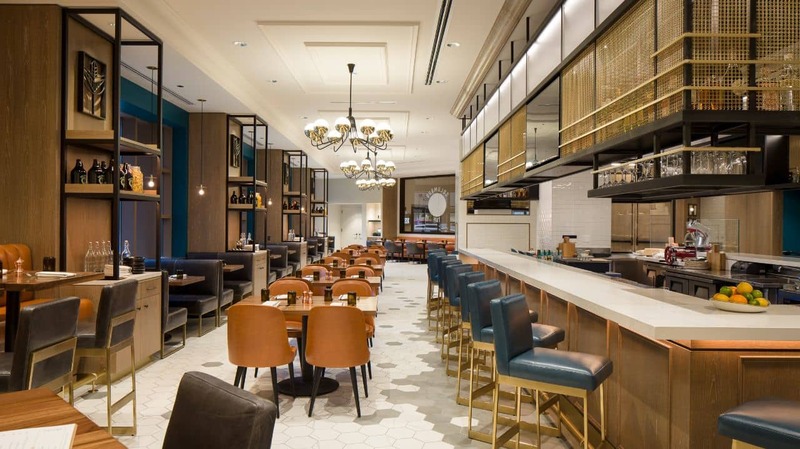 The Millennium Park Hotel isn’t the only Fairmont property. The luxury hotel chain can be found around the world in cities like London, Shanghai, and Dubai. However, the majority of their properties are located in the US and Canada. Fairmont Hotels was founded in 1907 and merged with Canadian Pacific Hotels in 2001. The French hotel group AccorHotels purchased the company in 2016. Located in the Loop district in downtown Chicago, Millennium Park is one of the city’s most popular tourist attractions. It’s considered to be one of the major accomplishments of Mayor Richard Daley, who lined up a number of sponsors to fund the construction of the project. Several features are located in the park, including Lurie Garden, Harris Theater, and Cloud Gate, the giant, reflective, bean-shaped sculpture that has become an icon since it was unveiled in 2006. Lake Michigan is located east of the park, while several museums, theaters, and restaurants can be found close by to the west. Half a mile away from the hotel, you’ll find The Chicago Theatre, a landmark that was built in 1921. Today, it hosts all sorts of events, including music, theatre, and comedy. Just south of Millennium Park is the Art Institute of Chicago, one of the oldest museums in the country. 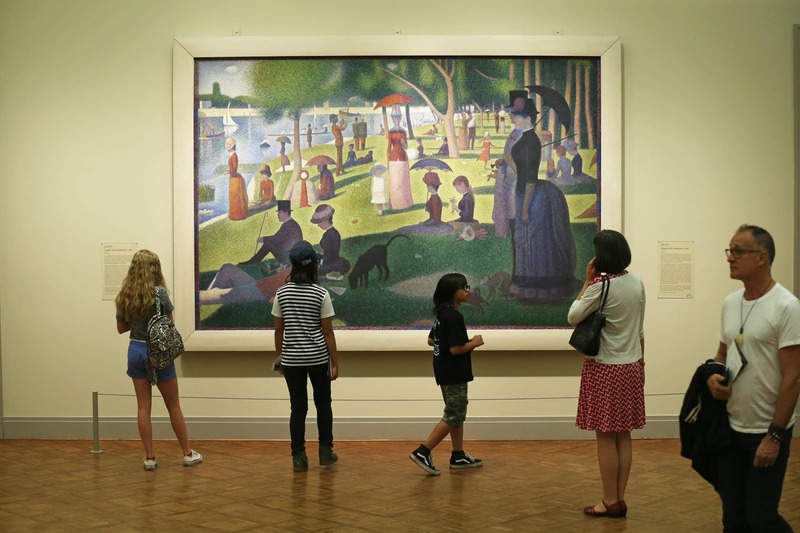 It is home to a number of famous works, including Georges Seurat’s A Sunday Afternoon on the Island of Le Grande Jatte, Edward Hopper’s Nighthawks, and Pablo Picasso’s The Old Guitarist. In addition to the permanent collection, the museum also hosts a number of special exhibitions every year. The Chicago Temple Building, a stunning example of neo-gothic architecture, sits a few blocks to the west. Chicago is one of America’s largest and most vibrant cities. It was incorporated in 1837, back when it mainly served as a port between the Great Lakes and the Mississippi River watershed. 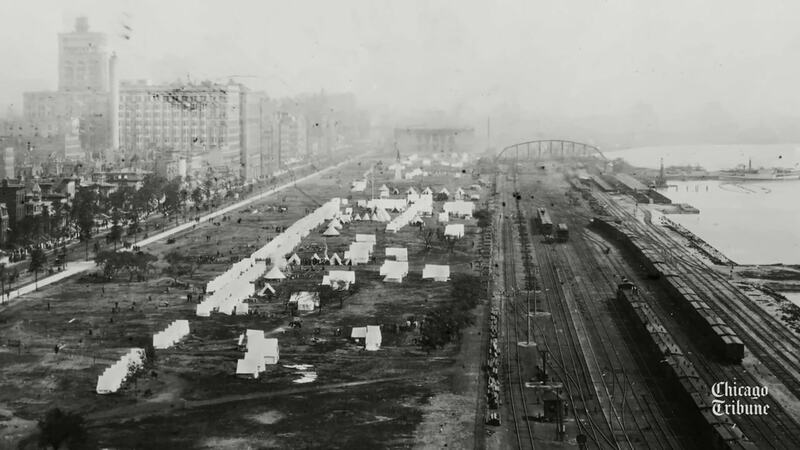 After much of the city was destroyed in the great fire of 1871, a rebuilding effort led to a wave of new construction. This resulted in a population boom so big that Chicago became one of the five largest cities in the world. In modern times, Chicago is not just a port city, but a hub of commerce, technology, and telecommunications.